Spring is about balance ~ the light and the dark, seeds and hopes that had lay dormant for months are now bursting forth in bright color and newness. As we begin planning and creating our outdoor natural delights, let’s reflect and churn our inner garden ~ our belly, our gut, our sacred soul ~ to be able to live, love and dance our journeys on an optimal level. The Japanese call the abdomen the “Hara,” the vital center of life. When we are feeling unfocused and off center, what are we really saying? The abdomen holds so many important aspects of our lives – our organs, intestines and digestion processes, our 2nd and 3rd chakra – our sexual selves and our place of power and self-esteem, the aorta and vena cava that bring blood flow to and from the heart, and muscles and fascia that hold everything together. With all these systems operating in one place, it is no wonder we become unbalanced. And with a poor diet, lack of exercise and deep breathing and the feelings of shame and disgust put upon our sweet belly, no matter if it is curvy or flat, this area becomes stagnant and sad. And soon, dysfunction becomes the norm. We also, on an unconscious level, build up armor around the abdomen. When we do not fully process a trauma in our lives, we push it out of our mind and heart to dwell down in our gut. This further complicates all the wonderful energy and nutrients and flow that our body needs. Center and balance the abdomen and people become more focused and able to direct their lives in a fully functional way. The Mayan culture and truly all-indigenous tribes used a manual technique of some sort to keep the belly centered. They knew the importance of working to keep our vital centers anchored in good energy flow for greater healing of the individual and the greater good of society. Tourmaline Body Therapy (TBT), developed by my teacher Mary Anderson, LMT, is an interactive treatment that works to release the rigid imbalances of the belly and other muscles of the body that are directly linked to unresolved issues and past traumas, physical and psychological. She incorporated the ideas of Wilhelm Reich, a 20th century psychoanalyst, who was the first to identify character structure – reactions to the person’s trauma and rejected emotions. These character traits are maintained in place by body armor. These aspects of the personality, unexamined, become rigid states as opposed to flexible choices. the ritual with a new sense of themselves and their power in the world. Tourmaline is a gemstone that aids the body in releasing what it no longer needs. It comes in many different colors and varieties, and its use on the body is not only transformative but also inspirational. It is said that tourmaline dispels fear and negativity, calms the nerves, gives inspiration and dispels grief. It brings balance to relationships and sensuality is heightened. It also brings more tranquil sleep and ease to lymphatic diseases. In this special treatment, the tourmaline stones themselves and special tourmaline essences made for each particular body segment or chakra area are used. 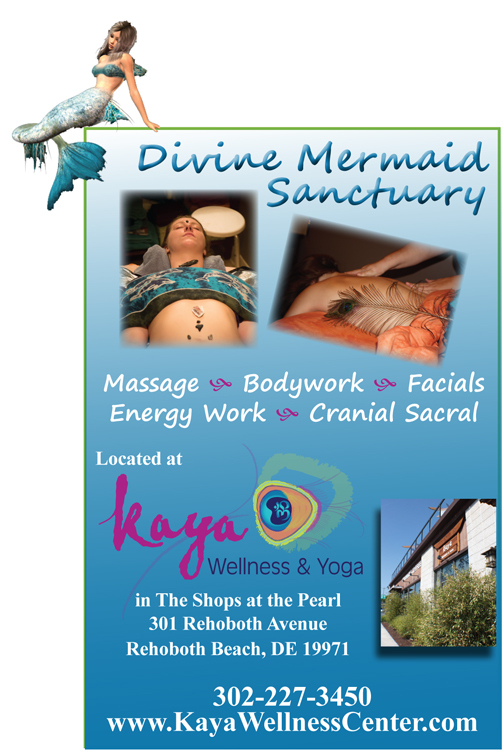 In my Mermaid Massage studio at Kaya Wellness, I am offering these 90-minute, life-changing Tourmaline Body Therapy sessions for only $100 (a $145 value) during the spring to help us all burst forth in the brightest of colors to better our community and the world. After a thorough intake form, we will consult and individualize the treatment that consists of massage, breathing, sounding and energy release. Please call me directly at 302-448-5206 to schedule and answer any questions. Accept your self and your body every day along the journey. Blessed be. Diane E. Heck LMT, NCTMB, LE, Reiki Master. 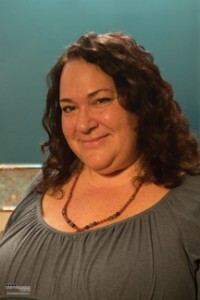 Diane has been facilitating healing through massage & bodywork for over 15 years. Specializing in a combination of cranial sacral therapy, reiki, reflexology & a little bit of magic & intuition, she individualizes each session to be a blissful wave of sensuality and deep stress relief. Fibromyalgia & Fertility sessions are a key part of her practice. 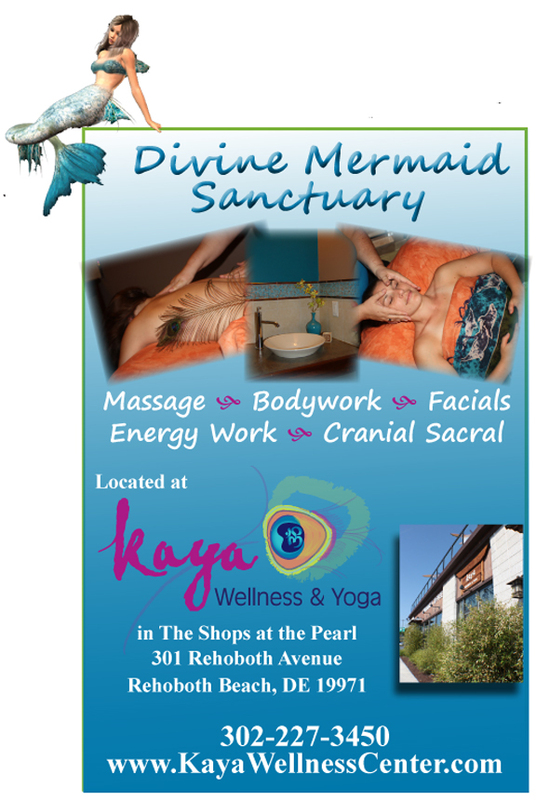 Diane also brings relaxing, rejuvenating facials & body treatments to Kaya. Diane is thrilled that she will becoming a mother soon!